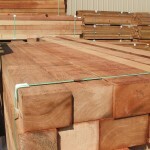 PowerWood Corp. Clear Timbers & Full Sawn Green Clear Timbers - PowerWood Corp.
PowerWood produces and stocks a wide range of full size western red cedar clears ranging in size from 1” thick x 2” wide through to 12” thick by 20” wide. 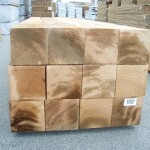 Cut predominantly from old growth logs harvested from multiple locations in British Columbia, all material is inspected during sawmilling and analyzed by a number of different criteria such as the number of acceptable defects, tightness of grain, sapwood content, grain direction and consistency in fiber. We have many different avenues for our clears, so we are able to inventory a large and diverse volume of material. 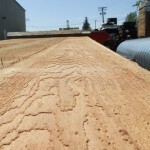 Many of our timbers and full sawn clears are customized on site for a high end decorative application, so we always target defect free timbers. 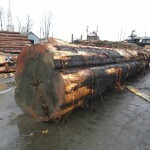 When faced with lower quality clears, or factory type lumber, our experienced lumbermen are able to re-mill, or break timbers into smaller dimension to produce lumber that works as a different product or size. PowerWood clear timbers and full sawn clears are sold both as rough green and as custom dried or finished product to our distributors. 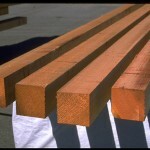 Timbers are frequently used either rough or surfaced for feature applications in high end homes, institutions such as golf courses or hotels, outdoor shade structures, pergolas or in high end deck and fence applications. The material manufactured at PowerWood is often dried to remove surface moisture and reduce checking and then surfaced smooth or re-sawn on all four sides for the best appearance possible.